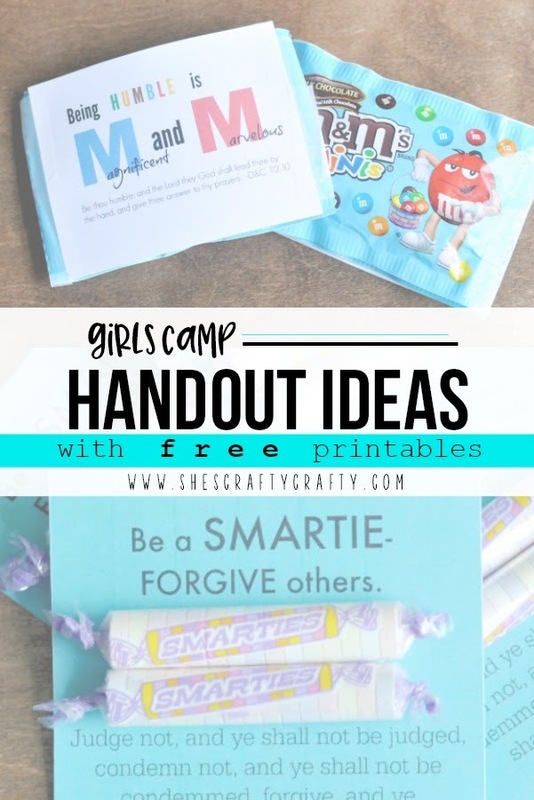 Make cute and thoughtful handouts for the Young Women at camp with these Girls Camp Handout Ideas with free printables. This week I'm headed camping with my Young Women. In the South, we always camp as a Stake. This year's stake camp theme is "Becoming More... humble, forgiving, considerate, loving, compassionate and Christlike." To go along with the theme, I created some handouts and included the printable for free for you. 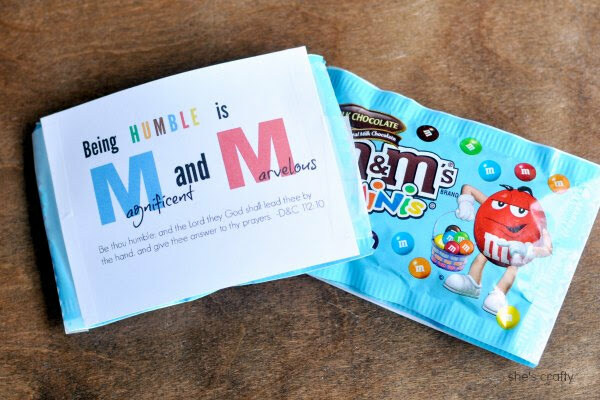 I printed off this handout on white cardstock and taped it to some packages of mini M and M's. 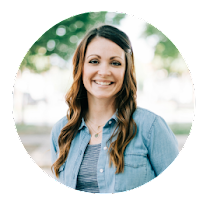 Get the Free Humble Printable Here. I printed this handout on white cardstock. It printed a little weird in the example so that the opaque "forgive's" didn't show up. 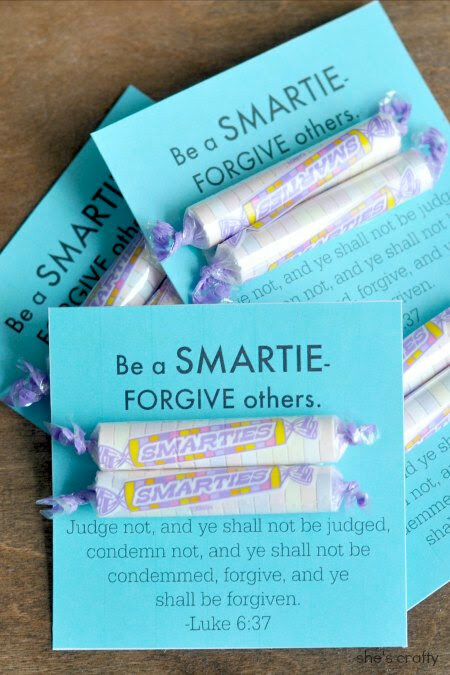 Get the Free Forgive Printable Here. I printed these out on white cardstock as well, then punched 2 holes in the left side. I threaded the pinwheel stick through the holes and taped the paper on the back to hold it in place. 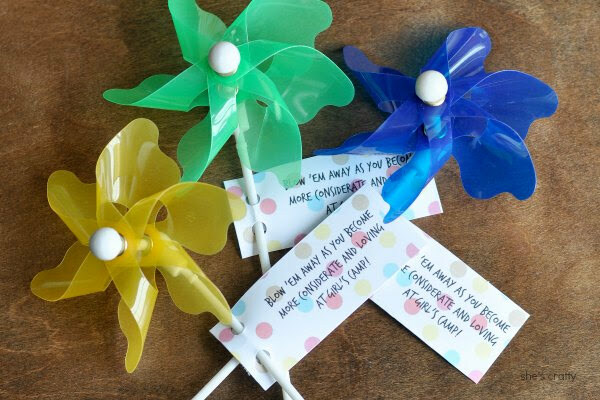 Get the Free Considerate and Loving Pinwheel Printable Here. I am looking forward to spending the week with the Young Women! Those are some clever ideas! Thanks for sharing your creativity with us at the Be.You.Tiful Link party! Hope to see you again! so glad that I came across your blog! 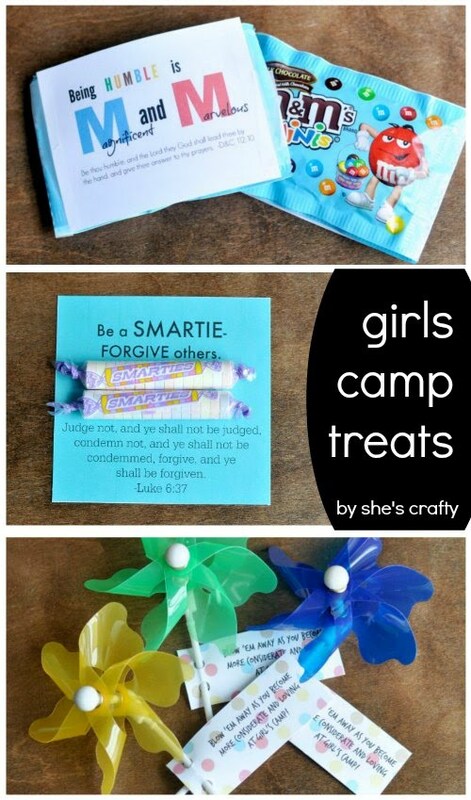 I was looking for someone to blog about girls camp and what kind of treats to take. I will be a big sister this year and dont know what kind of treats I should make my own.